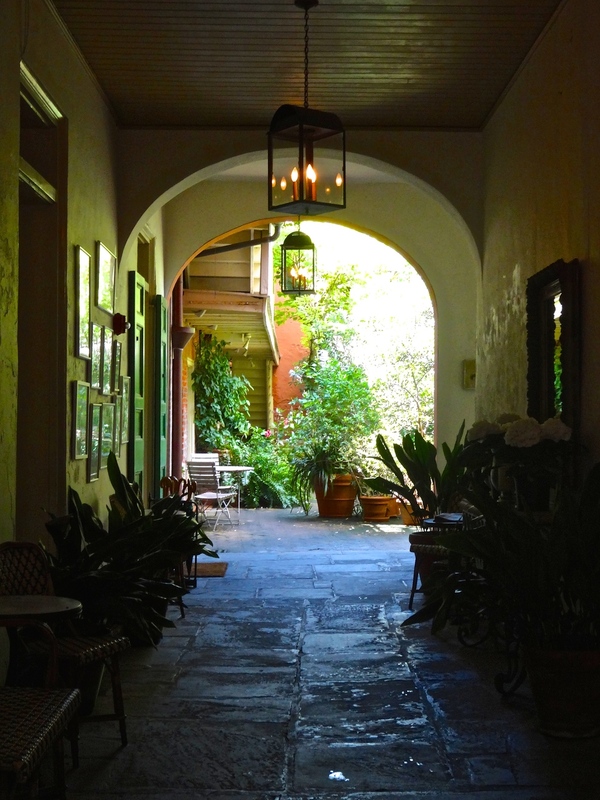 Tucked away in a cozy corner of the French Quarter, Soniat House simply oozes Southern charm. The 31-room property was originally built between 1829-33 as three separate French Quarter townhouses for a wealthy French sugar plantation owner and his sons. It was brought to life again in 1982 by Rodney and Frances Smith, who set about restoring the property and transforming it into the luxury boutique hotel it is today. While many hotels in New Orleans seem to strive for a trendy, almost-clubby vibe, Soniat House pays homage to the city's unique history and culture. Stepping foot into the cobblestone carriageway feels like stepping back in time to a New Orleans of yesteryear. The air is thickly perfumed by the scent of jasmine, roses, and hydrangea, the quiet is punctuated only by the babble of the fountain, and the red-bricked retreat seems to seek sanctuary from the blazing sun under a shadowy tangle of emerald palm leaves and ivy. The staff, dressed in traditional white jackets, are friendly and deft without being overbearing, whisking away luggage, welcoming guests home each night, and appearing at just the right time with things you didn't even know you needed—like an umbrella in case of rain. An author once said that houses in New Orleans are "resolutely shuttered against an outside world that could never be trusted to show proper sensitivity toward the oozing delicacies within." This perfectly sums up the balance that Soniat strikes between cloistered refuge and indulgent destination. It is a hotel that encourages you to linger within its walls. Fresh biscuits, homemade jams, and coffee delivered to your room make for luxuriously languorous mornings in bed. An honor bar and hundreds of candles flickering in the courtyard encourage you to cancel your evening plans, settle in with a Sazerac cocktail, and soak up an atmosphere that can only be described as magical. Every room in the hotel has been uniquely and individually furnished with French and English antiques—no two rooms are exactly alike. The architectural integrity of the original property has been preserved wherever possible, giving the rooms and the hotel a charming sense of authenticity. Accommodations are offered in six categories: Superior Single Rooms, Premier Rooms, Deluxe Rooms, Junior Suites, Suites, and Grand Suites. The Grand Suite (where I stayed) was elegant and spacious with his and hers bathrooms, a four-poster bed, a sitting room, and a fireplace. All rooms feature Canadian down pillows, Frette bathrobes and linens, turndown service, complimentary Wi-Fi, and Molton Brown toiletries. Soniat House is located in a residential section of the French Quarter, mercifully far away from the Bachelor-party crowds but within walking distance of the Quarter's major sights and restaurants. It overlooks St. Mary's Church and the Old Ursuline Convent, one of the oldest buildings in New Orleans and, according to the National Park Service, "the finest surviving example of French Colonial public architecture in the country." You're also just a hop, skip, and a jump away from buzzy Frenchman Street. Thanks to Soniat House for hosting my stay! As always, all opinions are my own.